Rochester's longest-running cultural festival, the Puerto Rican Festival, celebrates its 49th anniversary this week with three days of live music, food, cultural events, and celebrity guests. The fest will feature local bands and dance groups as well as national headliners, and honor this year's theme of Tradition, Rhythm, and Culture. This year's headliners are Pirulo y La Tribu and Rubby Perez (Friday); Willito Otero, La Generación del Presente, and Cosculluela (Saturday); and Rey Ruiz (Sunday). 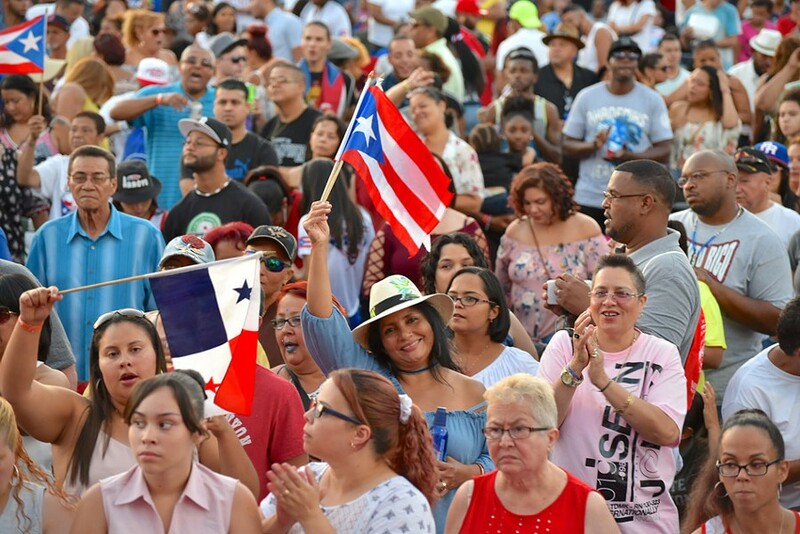 The 49th Annual Puerto Rican festival will be held Friday, July 27, through Sunday, July 29, at the Frontier Field VIP Parking Lot, 333 Plymouth Avenue. Festival hours are Friday and Saturday, noon to 11:00 p.m. (free admission until 2 p.m.); and Sunday, noon to 7:30 p.m. (paid admission all hours). All are welcome. Advanced tickets are $10 per day ($12 at the door, $5 for seniors and children) or $25 for a weekend pass. Ages 17 and under must be accompanied by an adult. prfestival.com.